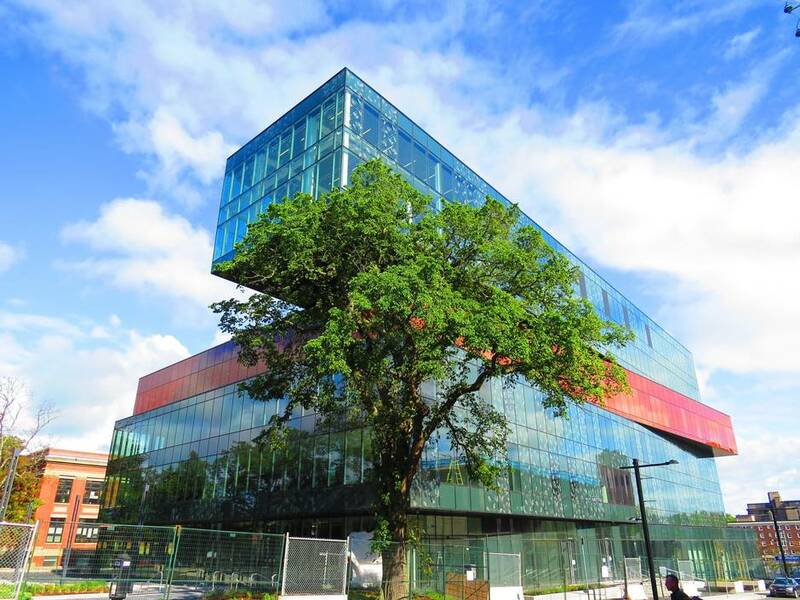 When it opened in 2014, Halifax’s new Central Library became an overnight landmark – a dramatic, $57.6-million, 120,000-square-foot collaboration between Canadian and Danish architects that played a key part in reinvigorating the city’s downtown. Calgary’s under-construction Central Library will be twice as large as Halifax’s upon completion next year, with a price tag more than four times as large, at $245-million. Up the road, Edmonton is gutting and largely rebuilding its flagship downtown branch, the Stanley A. Milner Library, at a cost of $69-million. Canadian cities are not simply building better book depositories. These facilities include meeting rooms, theatres, digital study areas, recording studios, children’s facilities, and, yes, a lot of books. 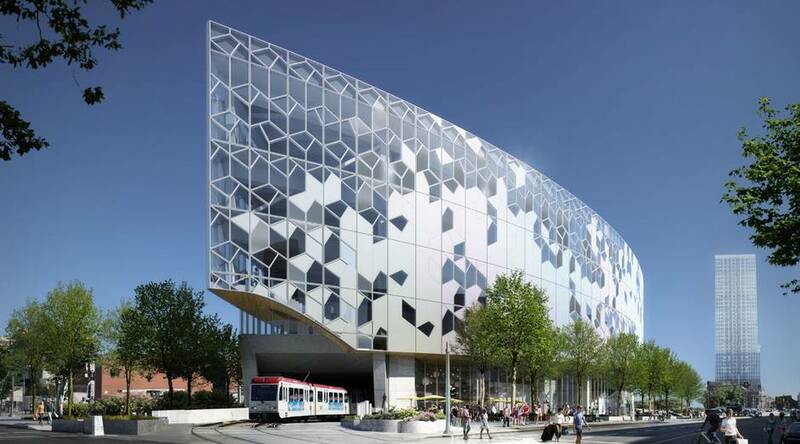 Their hefty budgets are being satisfied in part by exploring new territory for Canadian public libraries: granting corporate and individual naming rights for building elements. In the process, they’ve had to confront a host of unfamiliar issues, from pricing to public perception. Halifax Public Libraries launched its “Share the Wow” campaign in 2014, aiming to raise 10 per cent of the Central Library’s budget by soliciting donations, “from a child’s birthday money to $1-million corporate donations,” says Ms. Kachan. Almost two-thirds of that money has come from major gifts of $50,000 or more. More than 50 areas within the library – from small study pods to a 300-seat lecture hall – have been designated as opportunities for big-spending donors to obtain recognition signage or naming rights. Unlike the system’s other branches, the Central Library is replete with named spaces: among others, the RBC Learning Centre, the Southwest Properties Reading Lounge, and Paul O’Regan Hall, named for the founder of O’Regan’s Automotive Group, a chain of car dealerships which contributed $1-million. The Calgary Public Library Foundation’s “Add-In” campaign is seeking to accomplish something similar, but even more ambitious – to raise $350-million across the entire 18-branch system. Six years from its 2011 launch, the campaign has reached $304-million, with $275-million from public-sector financing, and the remainder from the private sector, including $10-million in individual and corporate naming rights. The campaign’s focus now is on the Central Library, a quarter-billion-dollar showpiece for the city’s revitalized East Village neighbourhood. “We want the philanthropic community to see the library as the next great strategic philanthropic investment,” says Brent Buechler, vice-president of the Calgary Public Library Foundation, created in 1999 to solicit charitable contributions to supplement the library’s public funding. Spaces so far include the TD Great Reading Room, the BMO Community Room, the CNOOC Nexen Digital Corridor, and the Shaikh Family Welcome Gallery, so far representing the largest gift, at $1-million. At Edmonton’s revamped downtown library, there will be between 10 and 15 major naming opportunities, including a gaming room, a culinary centre, a children’s library, and a 250-seat theatre. It will be the library’s first exploration of naming rights on “such a significant scale,” according to Tina Thomas, Edmonton Public Libraries’ executive director of strategy and innovation. Naming rights have long been a fundraising staple for civic assets such as recreation facilities and stadiums. But for public libraries, this is a new game, and it reflects a growing “Americanization” of fundraising, according to Dan Shaw, a lecturer at Dalhousie University’s Rowe School of Business, in Halifax. In both Halifax and Calgary, the price tags for various building elements are based on similar factors: square footage, location and visibility, traffic flow and construction costs. Besides pricing, the strategy requires new consideration of the ethics of naming public spaces for individual and corporate donors. In Halifax, a new policy was created specifically to guide naming and recognition in the new Central Library, while in Calgary, the library’s existing naming policies were updated. Both libraries require approval of the library board or CEO for the largest naming agreements, and both prohibit the use of corporate logos, to prevent the perception of advertising. Neither will permit an entire building to be named in exchange for a corporate donation. In both libraries, there is an awareness of the critique that private-sector and corporate philanthropy could come to supplant public-sector funding. Ms. Kachan feels that that at the moment, at least, it’s all upside.